PT Dahana (Persero) - Dahana is an Indonesian state-owned company that is involved in strategic industry. Dahana running business in providing highly energetic materials. Dahana offers a large selection of integrated commercial explosives services for general mining, oil and gas, quarry and construction. Dahana also offers defense explosive services, and other supporting services. 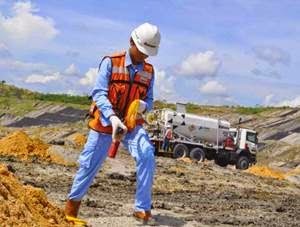 Dahana was first established in 1966 as Proyek Menang (Winning Project) in Tasikmalaya West Java The Winning Project is a dynamite factory project based on the NG with a license from Hispano-Suizza by the Indonesian Air Force (AURI). In 1973, Proyek Menang transformed into Perusahaan Umum DAHANA (Perum Dahana). The name of PT Dahana (Persero) was launched in 1991. Dahana now has production facilities located Tasikmalaya, Subang, and Karimun. In term of financial performance, Dahana succeeded in achieving acceptable and sound growth in 2015. According to PT Dahana (Persero) Annual Report 2015 as cited by JobsCDC.com, Dahana effectively recorded an increase in net revenue by 25.63%, which is Rp 1,376.17 billion, compared to Rp 1,095.47 billion in 2014. Total comprehensive income in 2015 amounted to Rp 85.86 billion, which increased 11.21% from Rp 77.20 billion in 2014. Not older than 30 years of age. Have a Bachelor Degree (S1) in Mining Engineering, Chemical Engineering, Industrial Engineering, Mechanical Engineering and Law. Have a Diploma Degree (D3) Chemical Analysis, Electrical Engineering, Mechatronic Engineering with a Minimum and Accounting. A minimum final GPA of 2.75 on a 4.00 grade scale for S1 Mining Engineering, S1 Chemical Engineering, S1 Industrial Engineering, S1 Mechanical Engineering, D3 Chemical Analysis, D3 Electrical Engineering, and D3 Mechatronic Engineering. A minimum final GPA of 3.00 on a 4.00 grade scale for S1 Law and D3 Accounting. Good level in English and computer literate. Willing to be stationed in all business offices/site projects of Dahana. Willing not to get married during the Management Trainee program (9 months/for those who are not married yet upon entering the program). JobsCDC.com now available on android device. Download now on Google Play here. Please be aware of recruitment fraud. The entire stage of this selection process is free of charge. PT Dahana (Persero) - Recruitment Management Trainee Program Dahana June 2016 will never ask for fees or upfront payments for any purposes during the recruitment process such as transportation and accommodation.